A holiday walkabout in South Park, a chance to create protest posters and more in our weekly digest of the region’s arts and culture news. “We’re building bridges, musical and poetry bridges, where the diplomatic bridges have collapsed,” said Ari Honarvar, who works with Musical Ambassadors for Peace. She’s trained as a facilitator to lead drumming and dancing circles among fellow refugees. Honarvar’s work, often centered in El Cajon’s vibrant refugee communities, recently brought her to the U.S.-Mexico border. As migrant caravans from Central America began arriving in Tijuana, Honarvar, along with volunteers from Musical Ambassadors for Peace and the refugee-led organization License to Freedom, took to the border with clothes, diapers, upwards of 350 gyros sandwiches, and, of course, drums. Tensions at the border escalated over the holiday weekend when a group of individuals seeking asylum in the United States marched towards the San Ysidro Port of Entry and U.S. Border Patrol agents fired tear gas canisters into Mexico, leading to an hours-long closure at one of the world’s busiest crossings. 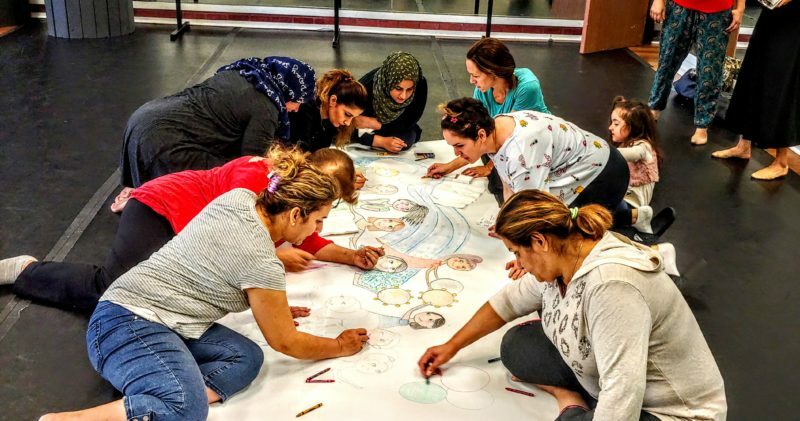 When approaching new refugees, Honarvar and her group always ask themselves whether that group is settled, and whether their physical needs are being met. Honarvar came to the United States as a refugee herself when she was 14, from Iran. “I felt very cut off,” she said. “I was very homesick and depressed, and didn’t really know how to talk about it.” Groups like Musical Ambassadors for Peace and others supporting refugees and migrants from conflict zones were not present for her at the time. When Honarvar first got involved with Musical Ambassadors for Peace, it was at the height of the Syrian conflict. 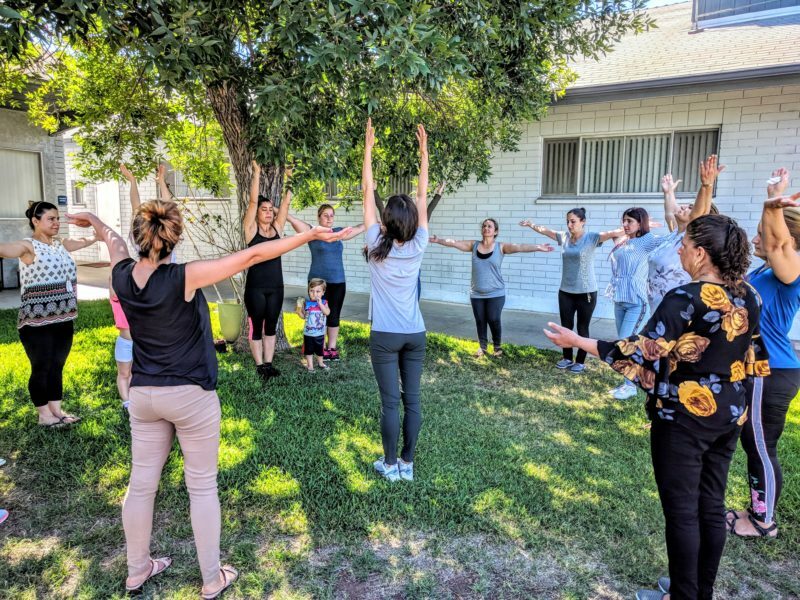 She asked if she could start a drum circle in El Cajon with the large populations of refugees there, generally from conflict zones in the Middle East. “I’m not a drummer. I had very little musical talent or skills,” she said. Her facilitation training, and her philosophy when leading drum and dance circles with traumatized groups, hinges upon both the solid scientific research that music and drumming can relieve anxiety, depression and symptoms of PTSD, as well as the underlying untethered nature of being a refugee. “With the human condition, most of our problems arise from a lack of belonging,” Honarvar said. In October, with Honarvar’s help, Musical Ambassadors for Peace and License to Freedom partnered with Dr. Chuyun Oh at San Diego State University to present “Dance of Home.” The Refugee Dance Project at SDSU is funded by a “Projects for Public Good” grant, and the program featured dance, storytelling, singing and poetry. Musical Ambassadors for Peace and License to Freedom are also in the development stages of a collaboration with the San Diego Symphony, among other endeavors. 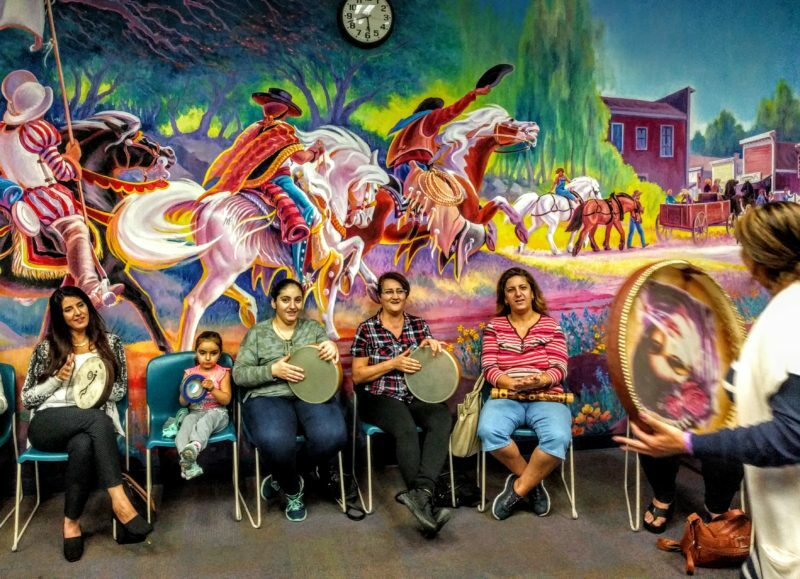 Honarvar and her drummers recently played music with the early groups trickling in from the latest migrant caravan. The current crisis has caused Honarvar to focus almost exclusively on meeting the immediate needs of the migrants, but she knows that they will soon take their drums to some of the shelters in Tijuana again, regardless of what happens. “They really, really love to dance,” she stressed. When asked about the role of art in crisis, Honarvar lights up. 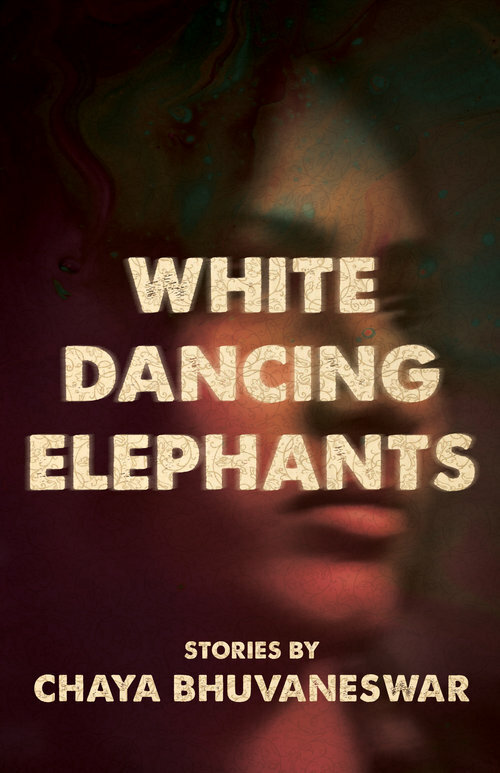 She quoted Emma Goldman, an early 20th century Russian and Jewish feminist and anarchist: “If I can’t dance, I don’t want to be part of your revolution.” Honarvar mused that she sees art as a litmus test for a movement. “It’s hard to separate politics from the arts,” she added. You’re reading the Culture Report, Voice of San Diego’s weekly collection of the region’s cultural news. For more coverage of the migrant caravan and refugees, sign up for the Border Report. Looking for a Nutcracker production to welcome the season with maximum sugarplum? KPBS’s Nina Garin has your back with this Nutcracker guide. You Belong Here is a brand new creative and collaborative workspace helmed by two active artists, Stacy Keck and Nic Roc. In their words: “We yearned for a sense of cultural identity and belonging; to be a part of a whole. Because we couldn’t find what we wanted, we decided to create space.“ Their grand opening and art show is on Thursday. MOPA’s Undocuqueer popup exhibit opens on Wednesday and runs through Monday. That’s not very much time at all, so make a point to see it! I loved this CityBeat profile of Beto Soto and the entire project. There’s always something great happening tucked away on a college campus, but at least this event is very explicit about where the free parking is (spoiler: lot 10). Mesa College’s Fall 2018 Student Art Exhibition and Sale happens on Thursday afternoon. The exhibition runs through December 11 but [fairy godmother voice] the free parking lasts just one night. On Saturday, Mission Trails is host to a special presentation from SDSU professor Margaret Field about the indigenous peoples of Southern and Baja California, specifically the pottery made primarily by the Ko’alh and Paipai potters of Santa Catarina, Mexico. There’s a lecture at 1 p.m., then a pottery sale in the Visitor Center at 2. The South Park Holiday Walkabout hits the streets on Saturday. There’s free entertainment, a tree lighting and some delightful holiday shopping opportunities. And if the stroller gridlock gets to be too much for you, just hop into the 21+ Whistle Stop like it’s some sort of storm shelter, where Grampadrew’s Flim Flam Revue — a longstanding bluegrass showcase — fires up at 5. 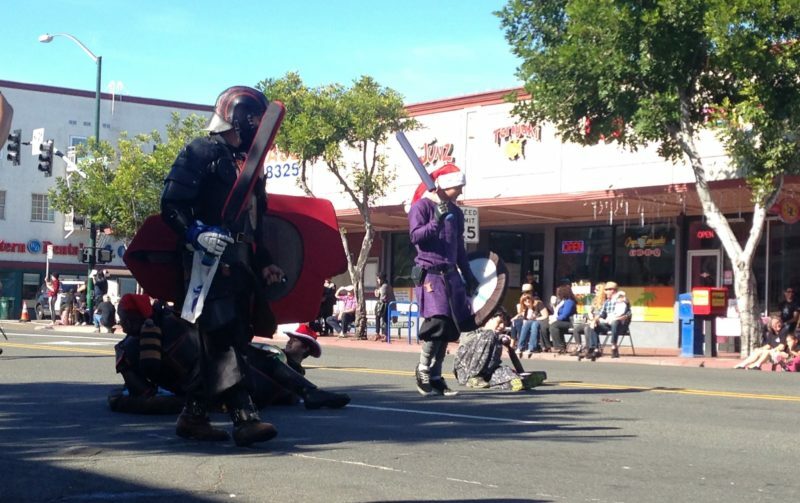 Honestly, it’s not the holiday season for me until the Morley Field LARPers (Belegarth San Diego) march-fight (fight-march?) down the streets of North Park, and thankfully, it looks like the annual Toyland Parade is still on for Saturday, despite some funding snafus this year. Every week it seems I have to make the agonizing decision of whether to place a boozy arts event in the culture news section or the booze news section, and this week’s contender is Sunday’s Native Poppy wreath-making workshop and hard kombucha tasting with June Shine. 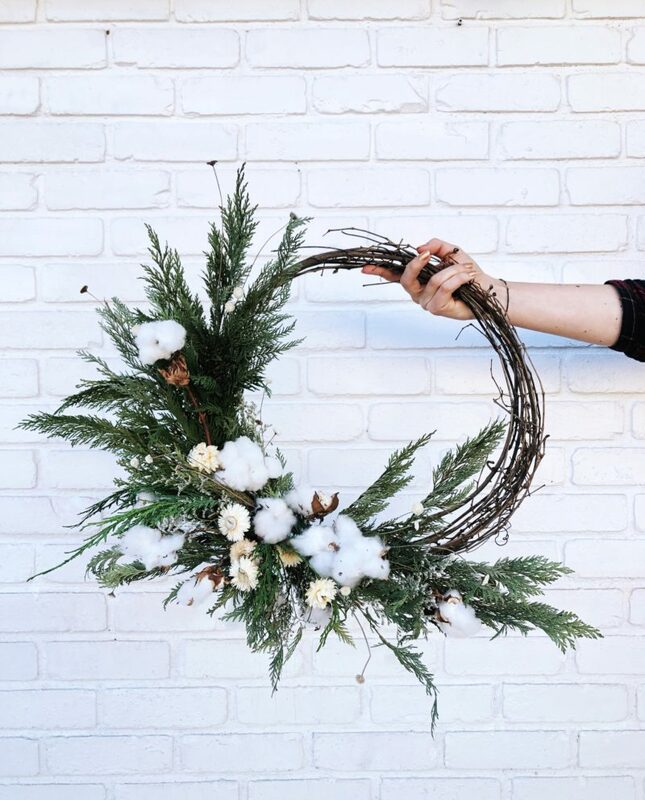 At first glance, sure, it doesn’t look cheap ($150), but I did the math and with four samplings of boozy kombucha and your very own brag-worthy artisanal wreath to take home, it’s probably worth it. Sanctuary Print Shop at the Museum of Contemporary Art San Diego is a project by Sergio De La Torre and Chris Treggiari that invites visitors to create collaborative protest posters. This Sunday is the first in a series of workshops, popup printing shops and dialogues about border and immigration issues. 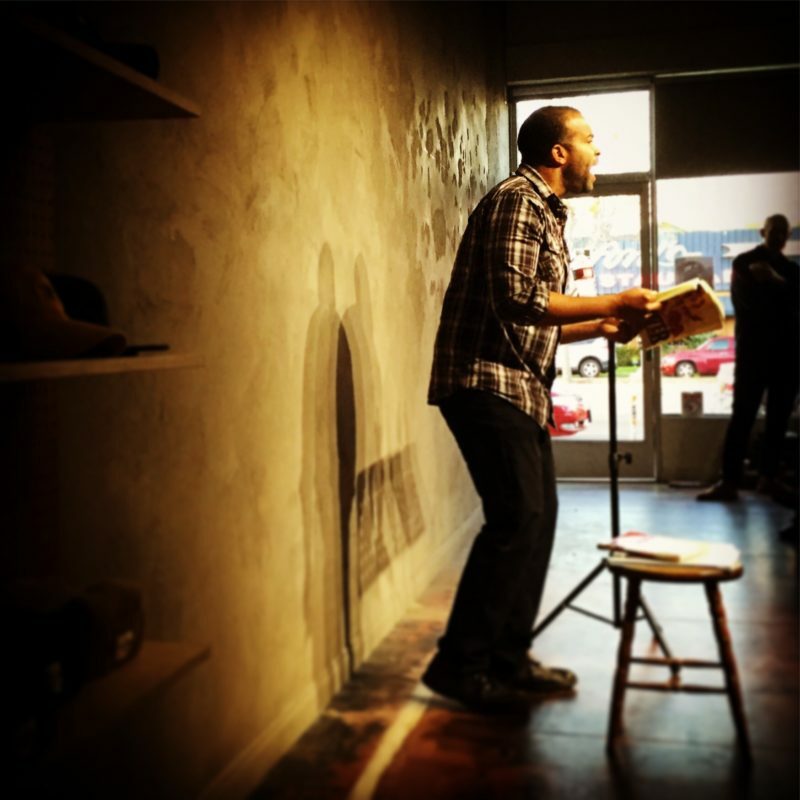 Nonstandard Lit stands quietly-yet-powerfully with just a scant few other reading series that have offered regular, monthly events for years straight. Their curation is always top notch, and this Sunday’s event features Hanna Tawater, who has a new poetry collection, Reptilia, out from San Diego-based press Ayahuasca Publishing that I am very excited to read. Tawater reads alongside Alfredo Aguilar. The latest episode of “Kiss My Glass,” the Union-Tribune’s drink-related podcast, features The Lion’s Share bar manager Jason O’Bryan’s new monthly popup dinner project, Tortoise. Host Edwin Real says his best meal of the year came from Tortoise, which makes me wonder: what was your best meal of 2018? CityBeat’s Lara McCaffrey delves into the legality of Cannabidiol products that seem to be flooding the market lately.